If you have the Internet, you’re aware that 3D printing is a thing and that you can make some pretty cool things with a printer at your disposal. You probably know that a decent printer can run you anywhere from $600 to $4000+, which is a hefty price tag for something you might just want to try out. Luckily, you don’t need your own printer to make your own inventions, and this guide will show you how. There are 3 things required to make a 3D printed object. At a high level, all you need is a design, a printer, and some material. Granted, there are many more things to worry about (slicer, temperatures, print speed, etc. ), but for the sake of getting started we’ll stick to the high level concerns. The actual process of printing requires you have a 3D object file (.stl typically) which you pass into a slicing program. A slicer generates G-code from your 3D model which is then used to instruct the printer. 3D printers are fairly dumb machines and are simply built to follow instructions - go here, start extruding, move here, stop extruding, lift head. Remember LOGO anyone? This is something that you can dive right into without your own printer. There are plenty of designs hosted on a number of sites if you’re looking to go that route - Thingiverse, YouMagine, Treasure Island. If you have some unique ideas of your own, you’re going to need to learn the ways of 3D modeling. If you happen to be on a Mac, check out Rhino3D. It’s currently free to evaluate the beta Mac version. Rhino is a great tool that takes a while to get used to, and is quite capable of solving your hobby 3D printing needs. TinkerCad - Free. Great online app for beginners to learn the basics. AutoDesk 123D Design - Free. Next step up allowing more User control. Rhino3d - Free for Mac beta. Further step up in complexity and control. SolidWorks - The holy grail. Quite expensive. Does literally everything. One tough thing about designing your own prints is that there are so many options and ways to craft your ideas. Find one that fits your needs, hunt around for some tutorials, and you’ll be a whiz in no time. You have a decent number of options here as well. Assuming you and your closest friends don’t have a 3D printer to play with, you’ll need to find someone who does. If you’re looking to do this without breaking the bank, then you’ll want to check out MakeXYZ or 3D Hubs. Both services let you upload a 3D file and choose a local 3D printer to outsource the print to. We’ve had a great experience with MakeXYZ here in Colorado, and have met some great folks in our area doing so. If you have some money to throw around and won’t settle for anything but the best, then Shapeways is the site for you. They can print in a variety of materials and at a very high quality. Some important examples for reference - heavy breathing cat, metal belt buckle, hungover My Little Pony. These guys are using top of the line printers to produce your prints so the quality (and price) will be much greater. 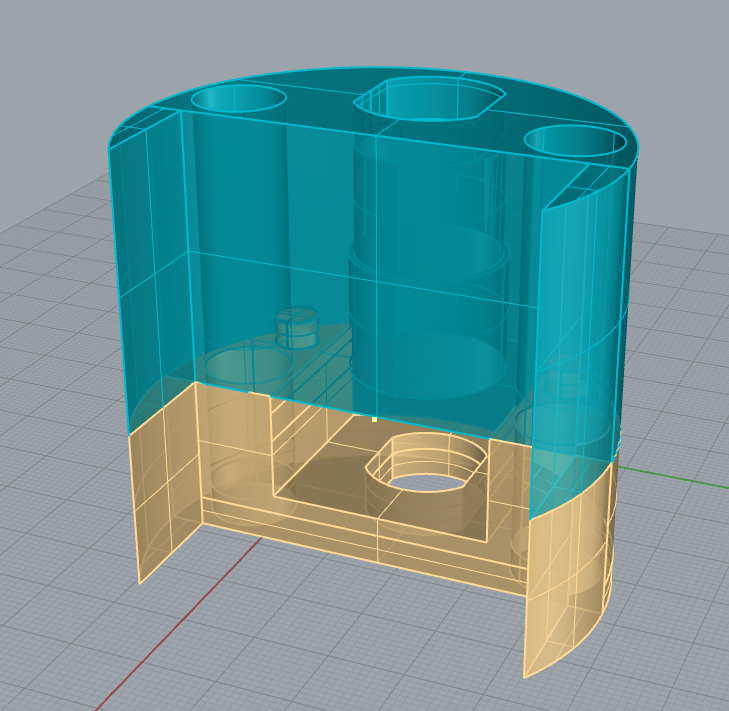 Edit: 3D Hubs and MakeXYZ both also have high quality printers in their pools of printers to source from. Again, higher quality will yield a higher price, so take a look around to see what fits your needs. This likely won’t concern you if you’re just getting into 3D printing, but it’s worth knowing what’s out there. If you’re going through Shapeways, you have a crazy number of options with varying pricetags: gold, sandstone, steel, castable wax, platinum, and of course plastic. More often then not however, you’re probably looking to print things in plastic. It’s the cheapest material by far, and most consumer market printers are designed to solely print with plastic. You even have options in here though. PLA and ABS are your most common plastics, both with different pros and cons. 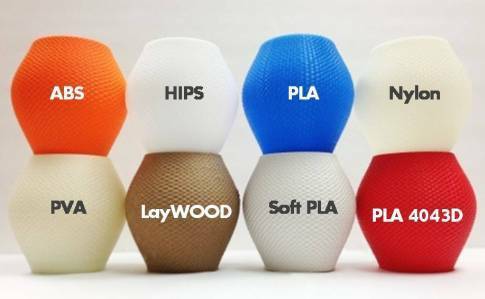 You could read about the properties of different plastic filaments all day, here’s a good short read on a comparison of PLA with ABS. If this stuff fascinates you, check out NinjaFlex while you’re at it. Science. It can be intimidating to start printing your own designs, and you’re almost guaranteed to make a bunch of mistakes in your first couple prints. Learn as you go though and have a great time printing all the things your heart desires! As for us, we’re the proud new owners of our very own LulzBot Mini. And we’re in love. I’ll post back here with lessons we’ve learned and any advice for those looking to puchase their own 3D printer. If you’ve mastered the ways of printing without your own 3D printer or have your own tips, share them in the comments below.